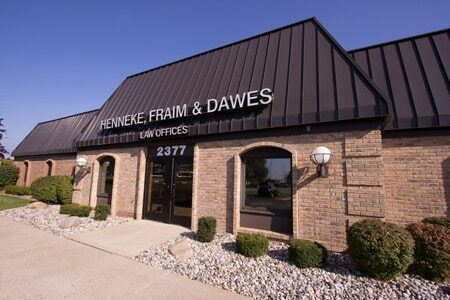 Divorce Lawyers in Flint MI - Henneke, Fraim & Dawes, P.C. At Henneke, Fraim & Dawes, P.C., we understand our clients in the midst of a domestic law dispute need advocacy that is skillful, strong, and compassionate. Divorces, custody disputes, and other family law matters involve legal, emotional and financial concerns. For most clients, their matter is the first time they have been involved in a family law case, and the process may seem daunting or even overwhelming. Their primary concern is often what their future is going to be after the divorce process. Our experienced family law attorneys first listen to the client’s concerns, anxieties, and goals. Then, with the client’s perspective in mind, they explain the legal process, the options, and the probable outcomes. In this way, our clients are empowered to make informed decisions to set them on the path to the best possible future for them and their family. Every family is different and so is every divorce matter. Our firm works to customize the best divorce solution for each client. When that means litigation, we offer attorneys who have extensive courtroom experience and up-to-date knowledge of the law. Our attorneys gather all of the relevant evidence, prepare the right witnesses, and know how to present to the court the information it needs to reach a favorable ruling for our clients. Many people do not realize that the vast majority of divorces do not end in a trial, but in a negotiated settlement. Our attorneys are also trained in mediation, so that they are positioned to negotiate successfully for our clients. The goal in any domestic relations negotiation is to give our client a resolution that allows them to move confidently forward into their new life. After a divorce, life continues to bring changes, such as the need to move to a new city or state, change a child’s school, or adjusting child support or parenting time. Henneke, Fraim & Dawes is ready to represent our clients in post-judgment motions and negotiations as their lives and needs change. We invite you to contact Henneke, Fraim & Dawes today to discuss how we may be able to assist you resolve your family law matter.